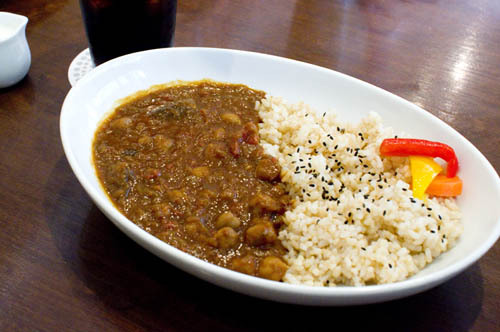 A pleasant place to grab a coffee or a late lunch or evening snack if you're exploring the Motomachi neighborhood - options include a deli platter and a nice bean-tomato curry with brown rice. There's some outdoor seating, and an inexpensive drinks menu. Naka-ku, Yokohama, Motomachi 1-50, Motomachi Paseo 1F.